Vale Plastering Ltd - Plasterer based in Shaftesbury, Dorset. Vale Plastering is a small local plastering contractor with over 15 years experience in the trade. We specialise in all aspects of internal and external plastering and rendering, offering a wide range of products and services, and producing a variety of finishes from traditional lime plastering to modern coloured renders and everything in between. My name is Rafe Gulliver-Mullins, I am the Managing Director and here we understand that, as well as working alongside local contractors on larger building projects, it is hugely important to maintain a good, domestic customer base. We offer plastering services no matter what the job, from extensions, to artex cover ups, or even a simple patching job. No job is too large or small, estimates are free of charge, and we are always happy to share any advice or knowledge that you may require. Customer satisfaction is at the top of our priorities and we promise to offer a clean, reliable and professional service at a competitive price for all clients, whether commercial or domestic. 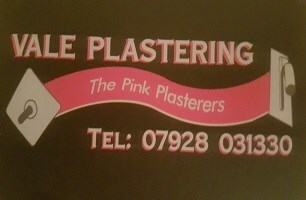 So please contact for all your plastering needs and arrange a visit for your free quote. Based in Shaftesbury. Covering all surrounding areas within 25 miles including Dorset, Somerset and Wiltshire.